CANNES, France—As the United Kingdom's decision to leave the European Union sent aftershocks through global markets today, the ad industry's top leaders were all in the same place to hear the news. Like thousands of their colleagues, the heads of advertising's largest holding companies are all in Cannes this week for the Cannes Lions International Festival of Creativity. 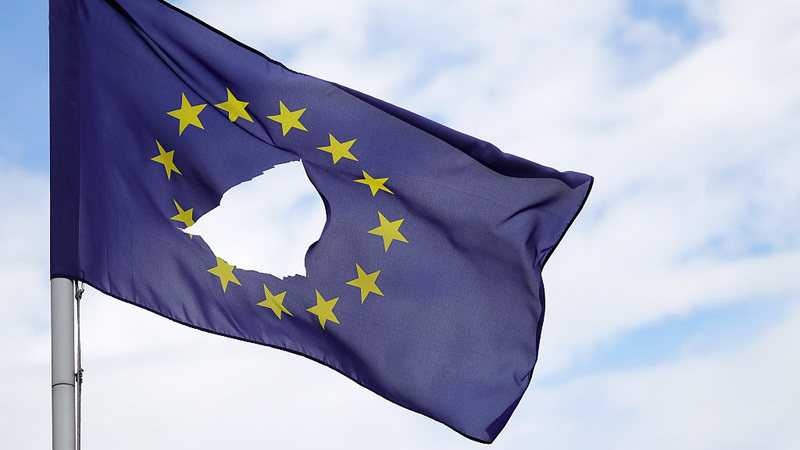 Two of the industry's most influential corporations quickly released statements about the "Brexit" decision, with the recurring theme being one of disappointment mixed with optimism after the polarizing decision by British voters. The final result was 52 percent in favor of leaving the EU and 48 percent against, with young voters overwhelmingly casting their ballots to remain a member of the 28-state group. British Prime Minister David Cameron announced at a press conference this morning that he will be stepping down because "the country requires fresh leadership" after the vote. What effect will this unprecedented development have on the advertising industry? Global stock markets are highly volatile, with the pound falling against nearly every other international currency. S&P Global is preparing to rescind the U.K.'s top credit grade, and shares in most major holding companies have fallen in the hours since the result of the vote was announced. "Very disappointed, but the electorate has spoken," said Sir Martin Sorell of WPP in a statement provided to Adweek. "The resulting uncertainty, which will be considerable, will obviously slow decision-making and deter activity. This is not good news, to say the least." Sorell said the decision both reinforces WPP's existing strategies for global growth while also encouraging the holding company to realign its approach to Europe. "We must deploy that stiff upper lip and make the best of it. Four of WPP's Top 10 markets are in Western Continental Europe and we must build our presence there even further. It just underlines the importance of implementing our strategy: fast-growth markets (BRICs and Next 11), digital, data—and horizontality, which ironically means getting our people to work together, not apart." "The decision will lead to market volatility in the short term, no question. But the U.K. is a key market to our clients and our own company, and together we'll find footing in this new world. Longer term, as long as open trade remains a priority, markets should normalize, and that's the timeline we're focused on." IPG has a significant presence in the United Kingdom, and its network includes the largest British ad agency not headquartered in London. "Our focus during this initial period of uncertainty will be on working closely with our agencies in the UK and Europe as they help our clients to navigate the changes in the marketplace," said Omnicom CEO John Wren in a statement echoing those of his fellow holding company leaders. He acknowledged that the vote had rattled international markets and facilitated "political turmoil" but urged caution, adding, "Over the course of time, we expect these uncertainties to be resolved and our agencies, clients and consumers will adapt as markets normalize." Stock prices for most of the major holding companies dropped sharply in the hours following the announcement, which came just before midnight EST. At the time this story first went live, WPP stock was down nearly 6 percent, Publicis Groupe was down almost 7 percent, Havas was down 5 percent and Dentsu Aegis stock had dropped by more than 12 percent. Omnicom and IPG's stock prices initially remained steady or increased very slightly before also dropping. Adweek has reached out to representatives of these holding companies along with the industry's top U.K.-based agencies, and we will update this story as it develops.